This year we decided as a class that we were going to put together two boxes for the Team Hope Christmas Shoebox appeal. 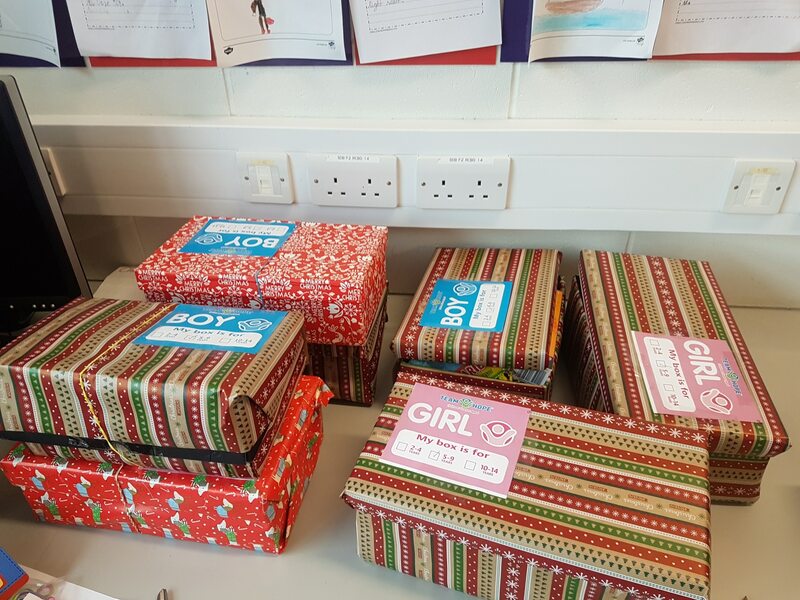 This is a great cause that sends shoebox gifts to children across Eastern Europe and Sub-Saharan Africa. The children were very generous and provided many wonderful gifts such as toys, teddies, stationary and sweets! 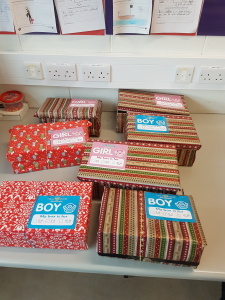 We gathered so many gifts for these children that we ended up making SEVEN BOXES!! We are absolutely thrilled! We hope that we can make this Christmas extra special for all these children! 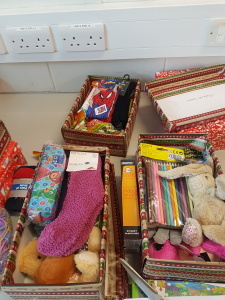 Thank you to the all parents from our class that got involved and donated. It is much appreciated. Ms. Kelly and 3rd class, Seomra Iseult.